“For You are our glory and joy…” – 1 Thess. 2:20 It’s Christmas time! There is certainly joy and happiness this time of year! I prefer joy. 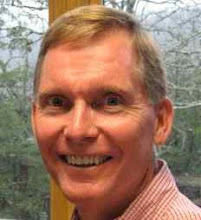 Happiness rises quickly like a flash flood in the Ozarks and can disappear just as fast, but joy lasts. It sticks around. It has deeper roots. And it’s absolutely wonderful. In it are the necessary ingredients that produce contentment, peace and security. If the joy is pure and God-produced, it is pure joy. Christmas is the season of joy. 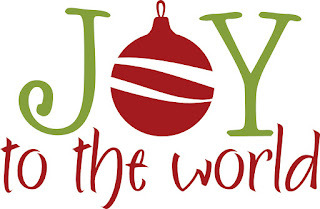 We sing, “Joy to the World” over and over, and we should. Anything less downplays the context of Christmas. We were lost and blind and sunk. But God stepped in and provided us a way. He sent His Son Jesus to be born, first, then sent Him to die for our sin. He made a way that we might be reconciled to Him. Because of His amazing grace, He made peace with us. He created the very essence of pure joy. The world provides a different kind of joy but it’s a counterfeit. It’s not joy at all. It’s comparison and sorrow and despondency. Of course, the world doesn’t like this season of joy. It’s like a neighbor bragging about their new automobile. That neighbor has something I don’t have, but I want. When pure joy is exposed, the world’s is envious because it doesn’t possess that kind of joy, and it wants it badly. It won’t get excited about pure joy. But it desires it greatly. And it can have it. In a season built for pure joy - envy, malice, and jealousy, instead, rule the day. I know those words are unpleasant but they’re true. Notice they are heart words. Most of these struggles occur at a heart level and that’s where the damage occurs. Joy works in the same way. The source of pure joy is in our hearts. It’s a by-product of God Himself via the Holy Spirit. It works from the inside out. It is intertwined with love. It allows us to “rejoice with the truth,” if we make that choice. Experience joy this Christmas season. That doesn’t mean we don’t experience some sorrow as well. We miss loved ones who have passed on. A lot of pain is exposed during this Thanksgiving and Christmas season. We grieve and old feelings are stirred up again. But pure joy can shine through. It doesn’t neglect the sorrow but chooses to grasp the joy. In “A Christmas Carol,” nothing really changed in the life of Scrooge. The difficulties still remained. But he chose to see life differently. “Choose joy”, someone said. “Well, that won’t work in my world,” was the reply. “Then change your world,” he responded. What does it mean to “change our world?” It means we choose to see the bigger picture. It means we don’t choose to live “under our circumstances” but rather above them. It means we yield to a loving God who is our rock and our fortress, 24-7. So, Merry Christmas. Joy to the World, the Lord is come!